Platinum TV Box Reviews - Is it a Scam or Legit? The MQX Platinum TV Box links with your Wi-Fi connection and claims to give you access to all the streaming content you can handle, completely for free. According to the website, Platinum TV Box legally streams more than 3,000 Hollywood movies, 200+ live TV channels, and virtually any television show or live sporting event, without paying rental or subscription fees. The device comes with apps already installed and all cables included—you just have to connect it to your TV using the included HDMI cable, press the power button, connect to a Wi-Fi signal, and you’ll be up and running in minutes. No technical know-how needed. In less than 10 seconds, the company tells us, you’ll be able to tune into live HD television 24/7 with Platinum TV, watch almost every movie and TV series ever made (including episodes that just aired), and access movies that are still on demand. And it automatically adjusts to your download speed, so every kind of content can be watched immediately. Is the Platinum TV box really a state-of-the-art, all-in-one entertainment device that will deliver just about any content you want, completely free of charge? When it comes to spending your hard-earned money, the HighYa team believes that you should be as informed as possible, while always maintaining realistic expectations. So, let’s dive right in and take a look at Platinum TV’s functionality. How Do Kodi Android Boxes Like Platinum TV Work? Dimensions: 5" x 5" x 2"
According to WirelessHack.org, because the Android operating system is flexible, it can be ideal for devices like Platinum TV. Not only can users add just about any app available on Google Play to their TV box, but the OS is also open source (anyone can gain access to and alter its code), and as a result, is very customizable. After hooking up your set top box to your TV (typically via an HDMI cable) and connecting it to your Wi-Fi signal, you’ll need to download different applications that will provide access to content. For example, popular streaming options include YouTube (and the more recent YouTube TV), Netflix, Hulu, HBONow, and Sling TV. Now, the important thing to remember here is that most premium streaming services aren’t free. As a result, in addition to the cost of a box like Platinum TV, you’d have to pay a monthly subscription fee to gain access to the content provided by these services (popular/new release movies, TV episodes/series, and so forth). Bottom line: Can Android combining hardware like Platinum TV Box with downloadable Android apps help you gain access to tons of streaming content? Using a combination of free apps like SnagFilms, Crackle, Popcorn Flix, MovieBox, and TerrariumTV; yes, it’s possible. However, if you’re expecting to gain access to all the same premium content provided by a traditional cable subscription, but without paying the associated fees, you might end up disappointed. For more, be sure to read Guide to Streaming Video Services: How to Find the Best Subscription. Before continuing with our discussion of cost, let’s quickly address the legality of these boxes. Are Kodi Android Boxes Like Platinum TV Legal? Basically, third-party companies load "the software onto dedicated hardware devices known as ‘so-called Kodi boxes.' While Kodi doesn't make any such hardware itself, these boxes have become readily available, although online retailers, including Amazon and eBay." How Much Does the MQX Platinum TV Box Cost? Important note: Searching online for ‘MQX Pro’ returned several other retailers selling what appeared to be we didn’t test these devices ourselves) the same Android box, but for as little as $10. Nonetheless, MQX’s Platinum TV Box comes with a 30-day no questions asked money back guarantee when ordered directly, along with a 12-month hardware warranty, less S&H. In order to request one, customer service can be reached at support@platinumtvbox.com. What Can We Learn From Customer Reviews For the Platinum TV Box? The only site where we encountered feedback for the MQX Pro Platinum Box at the time of our research was on Amazon, where dozens of third-party retailers were selling what appeared to be identical devices. Among more than 100 reviews, it had an average combined rating of about 3.5 stars. There, many complimented its flexibility (lots of apps available, USB/HDMI ports), ease of use, and the ability to stream different content. On the other hand, frequent complaints seemed to revolve around less-than-stellar performance (slow speeds, low video quality (one claimed 1080p max)), and difficult functionality. The Los Angeles-based company behind the Platinum TV Box of the same name held a B+ rating with the Better Business Bureau, based on one closed complaint as of 11/9/17. No details were available. Are There Other Android/Kodi Set Top Boxes Competing With MQX Platinum TV? Finding out how many devices are competing with Platinum TV Box is as easy as typing the phrase ‘Kodi Android box’ into your nearest search engine. At the time of our research, online marketplaces like Google Shopping and Amazon returned hundreds of results, most of which were priced somewhere between $20 and $50—putting Platinum TV at the upper end of the spectrum. 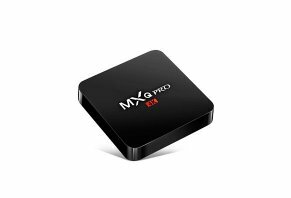 And as mentioned in the Pricing section, these same marketplaces also returned several MXQ Pro Platinum TV boxes through third-party retailers for as little as $10. In other words, you have a lot of options to choose between. How can you make the best possible decision? Cameron Summerson of HowToGeek notes that “this is a really confusing landscape: there are a lot of “fake” Android TV boxes floating around out there, and only a handful of official boxes actually worth considering.” Why? As a result, in a different AndroidPCReview article, the author advises only choosing Kodi TV boxes that come with a good support network (specifically, “an active forum network with both company representatives and end-users who will gladly help out other users who have issues”), including a warranty. There should also be regular firmware updates, competitive pricing, and high-quality hardware, although you won’t be able to learn about this last feature until after the device is in your hands. As such, many professionals recommend sticking only with well-known brands. What does all of this mean for you and Platinum TV? In 3 Easy Steps For Cutting the Cord & Saving Money, we outline there are three main things you’ll need in order to (hopefully) find freedom from expensive cable bills: an Internet connection, hardware that streams content to a device (TV, smartphone, tablet, etc. ), and a streaming service like Netflix, HULU, and so forth. In the instance of Platinum TV, it represents the hardware in this equation (and perhaps the service side as well, depending on the specific apps it comes pre-installed with). But as we discussed earlier, if you’re expecting it to essentially replace all your premium cable content with completely free services, then you’re likely to end up disappointed. Based on what we learned from AndroidPCReview earlier, the Platinum TV Box isn’t priced outrageously high, and it also comes with a refund policy and warranty. However, the device seemed to come with a mixed online customer reputation, and the company doesn’t provide any specifics about firmware updates. As such, as consumers ourselves, we might recommend exploring all of your Kodi-based Android set top TV box options before making a decision. And if you ultimately decide to go with the MQX Pro Platinum route, keep in mind that some retailers offered the device for as little as $10 during our research. They took my order, my money, and never responded or delivered the product. Poor business etiquette. I would NEVER recommend anyone fall victim to this company as they do not hold proper ethics or value for others and their money. They took our money but we never received anything. We are angry, who are these COWARDS? Please let me know. Someone has to know who these people are. They also have are personal information because we used our debit card. After waiting for over a month, I started trying to contact these people. They sent us a bogus tracking number and said the order was shipped - we waited and waited for nothing, they took our money. Someone has to know who these people are. I wish I could find out who these people are that scammed all of is. We worked hard for our money and I want justice and to make them pay. The box did not work as promised. And they had a video on YouTube saying the box was $77 and had Free Streams TV and it did not. When I asked how come on YouTube, they disabled comments, AND their site contact was also disabled. It worked once, but now is a piece of junk. They should be arrested and prosecuted by law for ripping off customers. It's a big rip off, a scam. I ordered two boxes since February 2018 and never received them. I sent a text to support and nobody answered me back. I am still fighting to get a refund, I call them but nobody ever answers the phone. Big ripoff. Six months ago I paid $77. They said they would email me when they would send my money back. Nothing. No box, no money. Congratulations, you are now on your way to saving a tonne of money every single month and enjoying unlimited TV and movie entertainment. We are now preparing your order and will ship it within 1-2 business days. Two boxes were ordered in January 2018, $145.00 payment posted on our bank statement in January 2018 and like many others here, I received no boxes. All excuses were given when we called to check status (i.e. boxes were sent, backlog, refund, etc.). Today (June 21, 2018) I tried the chat line and was cursed at. The listing on my bank statement showed LUO ENTERTAINMENT as the one who collected the money from our bank account through debit. These two companies are scammers! Avoid at all cost! I at first typed in 16 boxes and they were nice and called me to make sure. Thank gosh that it was wrong, I only ordered three boxes and a keyboard. I got them and didn't have a clue how to make them work, not any real directions in the box. I could never get a hold of them like was promised, so I sent them back within two weeks at my cost. At first, they kept saying they never received them. I called UPS and they gave me the exact day, time, and person name that signed for my return box. When they used to answer their phones, I was told it was not there. I kept telling them it was. Finally, they found it and said my refund was being processed. It has been six months and still no refund. I am out $240 and now they don't answer their phones. All you can do is send an email and it says they will get back to you. Six months and no money back. This place is a rip-off, don't lose your money! Don't order. Get it from Amazon if you want to try, that way you will at least get your refund if you really want to try them, but they do not work. Platinum TV is a scam! What a horrible SCAM! I ordered three boxes since December 2017 and was promised immediate delivery. After payment, they said there was back order. Since then I haven't heard anything from them. When you call, there is an automatic text reply that refers you to live chat. There is no live chat on the website, it is just an advanced SCAM. I have visited their "office in 941 S. Vermont Ave #101 Los Angeles," and it was just a mail station for the SCAM. I am working towards reporting and getting an attorney to file a class action lawsuit in order to stop this SCAM. Please do not fall to their SCAM. I purchase two Platinum TV Boxes. After I could not get the boxes to perform as they stated, I called and made the appointment for support. After the third session of support, I came to the conclusion that is was a stall tactic. Each twenty minute session was a waste of time. In one of the sessions, I could hear chickens or animals making noise in the background. I feel the stall tactic was intended for the 30-day return policy to expire. So, I returned the boxes after struggling to get the RMA. They stated I would receive a refund within five to seven days of the return. I have the return delivery confirmation. Its been over two months. No refund. I have continuously tried to contact the company, with no response from them. I should have checked with the Better Business Bureau before placing my order for the TV boxes. Lesson learned. Do NOT deal with these frauds! I paid for two boxes three months ago. When I contact them with my invoice, they told me to get lost. Do not buy this product. Dragon Box is more money but works great. I ordered the Platinum TV Box back in February after seeing the advertisement online. I never received my box, and after several call and emails I finally, I talk to someone, only to hear that the box was lost in transit. And I could now order another one box or request for refund that would take 5 -10 days to process. Very unhappy with this company and suggest that they are removed from Amazon. And eBay. Write a Review for Platinum TV Box!